WIN! Kings Of The Road on Blu-ray! 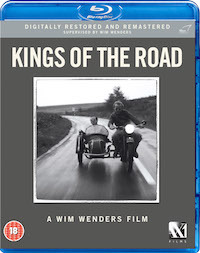 FilmJuice Competition: To celebrate the release of Kings Of The Road on Blu-ray we've got TWO copies to Give Away! For your chance to win, simply answer this question (entry details at the bottom of page): Which celebrated filmmaker directed Kings Of The Road? 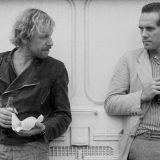 The final part of WIM WENDERS’ loose trilogy of road movies (following on from Alice in the Cities and Wrong Move), KINGS OF THE ROAD has been hailed as one of the best films of the 1970s and remains Wenders’ most remarkable portrait of his own country. After driving his car at high speed off a road and into a river, losing all his worldly possessions, Robert Lander (Hanns Zischler) hitches a ride with Bruno Winter (Rüdiger Vogler), who travels across Germany’s hinterland repairing projectors in run-down cinemas. Along the way, the two men meet people whose lives are as at odds with the modern world as their own. In attempting to reconcile their past, the two men find themselves increasingly at odds with each other. 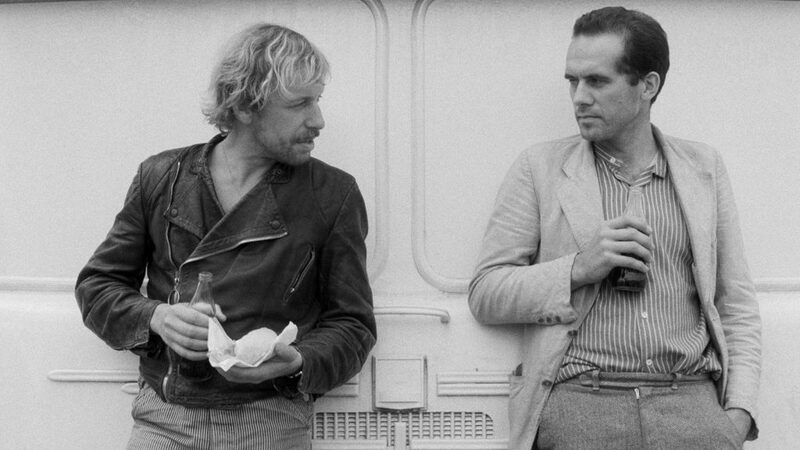 KINGS OF THE ROAD is a meditation on the passing of the age of great cinema, an acute study of life in post-war Germany and to this day remains one of Wim Wenders’ most accomplished films.